↑ ক খ গ ঘ ঙ Mukhopadhyay, Kali Prasad (2007). Partition, Bengal and After: The Great Tragedy of India. New Delhi: Reference Press. p. 40. আইএসবিএন ৮১-৮৪০৫-০৩৪-৮. ↑ Trivedi, Rabindranath (20 July 2007). "The Legacy of the plight of Hindus in Bangladesh Part IV". Asian Tribune (World Institute for Asian Studies) 11 (460). Retrieved 25 July 2012. ↑ ক খ গ ঘ ঙ চ Trivedi, Rabindranath (20 July 2007). "The Legacy of the plight of Hindus in Bangladesh Part IV". Asian Tribune (World Institute for Asian Studies) 11 (460). Retrieved 25 July 2012. ↑ Kamra, A.J. (2000). The Prolonged Partition and its Pogroms: Testimonies on Violence Against Hindus in East Bengal 1946-64. New Delhi: Voice of India. pp. 80–81. আইএসবিএন ৮১-৮৫৯৯০-৬৩-৮. ↑ ক খ Mukhopadhyay, Kali Prasad (2007). Partition, Bengal and After: The Great Tragedy of India. New Delhi: Reference Press. p. 28. আইএসবিএন ৮১-৮৪০৫-০৩৪-৮. ↑ Indian Commission of Jurists, ed. (1965). Recurrent exodus of minorities from East Pakistan and disturbances in India: A report to the Indian Commission of Jurists by its Committee of Enquiry. Indian Commission of Jurists. p. 360. ↑ Singh, Nagendra Kumar (2003). Encyclopaedia of Bangladesh. New Delhi: Anmol Publications. p. 108. আইএসবিএন ৮১-২৬১-১৩৯০-১. ↑ ক খ Roy, Tathagata (2002). "Appendix: Letter of Resignation of Jogendra Nath Mandal, dated 8 October 1950, Minister of Law and Labour, Government of Pakistan". My People, Uprooted. Kolkata: Ratna Prakashan. p. 362. আইএসবিএন ৮১-৮৫৭০৯-৬৭-X. ↑ Ray, Jayanta Kumar (1968). Democracy and Nationalism on Trial: A Study of East Pakistan. Simla: Indian Institute of Advanced Study. p. 33. ↑ ক খ Nehru, Jawaharlal (1992). Selected Works of Jawaharlal Nehru (Part 1: 15 November 1949 – 8 April 1950) 14. Jawaharlal Nehru Memorial Fund. p. 38. ↑ ক খ Roy, Tathagata (2002). "Appendix: Letter of Resignation of Jogendra Nath Mandal, dated 8 October 1950, Minister of Law and Labour, Government of Pakistan". My People, Uprooted. Kolkata: Ratna Prakashan. p. 363. আইএসবিএন ৮১-৮৫৭০৯-৬৭-X. ↑ ক খ গ Panjabi, Kavita (14 August 2010). "Otiter Jed or Times of Revolution: Ila Mitra, the Santals and Tebhaga Movement". Economic & Political Weekly (Mumbai: Sameeksha Trust) XLV (33). ISSN 2349-8846. Retrieved 16 May 2015. ↑ Panjabi, Kavita (14 August 2010). "Otiter Jed or Times of Revolution: Ila Mitra, the Santals and Tebhaga Movement ওয়েব্যাক মেশিনে আর্কাইভকৃত ২৪ সেপ্টেম্বর ২০১৫ তারিখে". Economic & Political Weekly (Mumbai: Sameeksha Trust) XLV (33). ISSN 2349-8846. Retrieved 16 May 2015. ↑ ক খ গ ঘ ঙ চ ছ Kamra, A.J. (2000). The Prolonged Partition and its Pogroms: Testimonies on Violence Against Hindus in East Bengal 1946-64. New Delhi: Voice of India. pp. 71–72. আইএসবিএন ৮১-৮৫৯৯০-৬৩-৮. ↑ Singh, Nagendra Kumar (2003). Encyclopaedia of Bangladesh. New Delhi: Anmol Publications. p. 112. আইএসবিএন ৮১-২৬১-১৩৯০-১. ↑ Mukhopadhyay, Kali Prasad (2007). Partition, Bengal and After: The Great Tragedy of India. New Delhi: Reference Press. p. 30. আইএসবিএন ৮১-৮৪০৫-০৩৪-৮. ↑ ক খ Mukhopadhyay, Kali Prasad (2007). Partition, Bengal and After: The Great Tragedy of India. New Delhi: Reference Press. p. 30. আইএসবিএন ৮১-৮৪০৫-০৩৪-৮. ↑ ক খ গ Kamra, A.J. (2000). The Prolonged Partition and its Pogroms: Testimonies on Violence Against Hindus in East Bengal 1946-64. New Delhi: Voice of India. pp. 60–61. আইএসবিএন ৮১-৮৫৯৯০-৬৩-৮. ↑ Kamra, A.J. (2000). The Prolonged Partition and its Pogroms: Testimonies on Violence Against Hindus in East Bengal 1946-64. New Delhi: Voice of India. pp. 74–75. আইএসবিএন ৮১-৮৫৯৯০-৬৩-৮. ↑ Lahiri, Prabhas Chandra. পাক-ভারতের রূপরেখা (Pak-Bharater Rooprekha). Kolkata. p. 222. ↑ ক খ গ ঘ ঙ Kamra, A.J. (2000). The Prolonged Partition and its Pogroms: Testimonies on Violence Against Hindus in East Bengal 1946-64. New Delhi: Voice of India. pp. 64–65. আইএসবিএন ৮১-৮৫৯৯০-৬৩-৮. ↑ "Frontier Riots - Hundreds Reported Killed". Cairns Post. 23 February 1950. Retrieved 24 July 2012. ↑ "Hundreds Die On Frontier". Sydney Morning Herald. 23 February 1950. Retrieved 6 January 2013. ↑ ক খ গ ঘ ঙ Singh, Nagendra Kumar (2003). Encyclopaedia of Bangladesh. New Delhi: Anmol Publications. p. 113. আইএসবিএন ৮১-২৬১-১৩৯০-১. ↑ ক খ Roy, Tathagata (2002). My People, Uprooted. Kolkata: Ratna Prakashan. p. 178. আইএসবিএন ৮১-৮৫৭০৯-৬৭-X. ↑ Indian Commission of Jurists, ed. (1965). Recurrent exodus of minorities from East Pakistan and disturbances in India: A report to the Indian Commission of Jurists by its Committee of Enquiry. Indian Commission of Jurists. p. 364. ↑ ক খ Sinha, Dinesh Chandra, ed. (2012). ১৯৫০: রক্তরঞ্জিত ঢাকা বরিশাল এবং [1950: Bloodstained Dhaka Barisal and more] (in Bengali). Kolkata: Codex. p. 85. ↑ Ghosh, Subhasri (12 March 2013). "Representation of forced migrants: a case study of the east bengali migrants to West Bengal". Conserveries mémorielles (Paris: Revues.org). ISSN 1718-5556. Retrieved 12 March 2015. ↑ Bhatia, Nandi (2008). Gera Roy, Anjali; Bhatia, Nandi, eds. Partitioned Lives: Narratives of Home, Displacement and Resettlement. New Delhi: Pearson Education India. p. 78. আইএসবিএন ৮১-৩১৭-১৪১৬-০. ↑ ক খ গ ঘ ঙ চ Singh, Nagendra Kumar (2003). 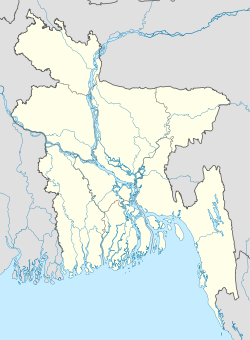 Encyclopaedia of Bangladesh. New Delhi: Anmol Publications. p. 112. আইএসবিএন ৮১-২৬১-১৩৯০-১. ↑ Patowari, RK Shamim (2012). "Chhagalnaiya Upazila". In Islam, Sirajul; Jamal, Ahmed A. Banglapedia: National Encyclopedia of Bangladesh (Second ed.). Asiatic Society of Bangladesh. ↑ ক খ গ ঘ ঙ চ ছ জ Sinha, Dinesh Chandra, ed. (2012). ১৯৫০: রক্তরঞ্জিত ঢাকা বরিশাল এবং [1950: Bloodstained Dhaka Barisal and more] (in Bengali). Kolkata: Codex. pp. 72–77. ↑ ক খ গ Singh, Nagendra Kumar (2003). Encyclopaedia of Bangladesh. New Delhi: Anmol Publications. p. 114. আইএসবিএন ৮১-২৬১-১৩৯০-১. ↑ ক খ গ ঘ ঙ চ Kamra, A.J. (2000). The Prolonged Partition and its Pogroms: Testimonies on Violence Against Hindus in East Bengal 1946-64. New Delhi: Voice of India. pp. 78–79. আইএসবিএন ৮১-৮৫৯৯০-৬৩-৮. ↑ Singh, Nagendra Kumar (2003). Encyclopaedia of Bangladesh. New Delhi: Anmol Publications. p. 113. আইএসবিএন ৮১-২৬১-১৩৯০-১. ↑ Baixas, Lionel (2008). "Thematic Chronology of Mass Violence in Pakistan, 1947-2007". Online Encyclopaedia of Mass Violence. Retrieved 3 July 2011. ↑ ক খ Kamra, A.J. (2000). The Prolonged Partition and its Pogroms: Testimonies on Violence Against Hindus in East Bengal 1946-64. New Delhi: Voice of India. p. 73. আইএসবিএন ৮১-৮৫৯৯০-৬৩-৮. ↑ Sengupta, Subhodh Chandra; Basu, Anjali, eds. (January 2002). "সতীন্দ্রনাথ সেন" [Satindranath Sen]. Samsad Bangali Charitabhidhan (Bibliographical Dictionary) (in Bengali). Volume 1 (4th ed.). Kolkata: Shishu Sahitya Samsad. pp. 544–545. আইএসবিএন ৮১-৮৫৬২৬-৬৫-০. ↑ ক খ গ Kamra, A.J. (2000). The Prolonged Partition and its Pogroms: Testimonies on Violence Against Hindus in East Bengal 1946-64. New Delhi: Voice of India. pp. 94–95. আইএসবিএন ৮১-৮৫৯৯০-৬৩-৮. ↑ Chakrabarti, Prafulla Kumar (1999). The Marginal Men. Kolkata: Naya Udyog. p. 27. আইএসবিএন ৮১-৮৫৯৭১-৬০-৯. ↑ ক খ Kamra, A.J. (2000). The Prolonged Partition and its Pogroms: Testimonies on Violence Against Hindus in East Bengal 1946-64. New Delhi: Voice of India. p. 136. আইএসবিএন ৮১-৮৫৯৯০-৬৩-৮. ↑ ক খ গ ঘ ঙ Kamra, A.J. (2000). The Prolonged Partition and its Pogroms: Testimonies on Violence Against Hindus in East Bengal 1946-64. New Delhi: Voice of India. p. 137. আইএসবিএন ৮১-৮৫৯৯০-৬৩-৮. ↑ Roy, A. (1980). Genocide of Hindus and Buddhists in East Pakistan and (Bangladesh). Delhi: Kranti Prakashan. p. 94. ↑ Ray, Mohit (2009). "Illegal Migration and Undeclared Refugees - Idea of West Bengal at Stake". Dialogue (Astha Bharati) 11 (2). Retrieved 5 January 2013. ↑ Roy, Tathagata (2002). My People, Uprooted. Kolkata: Ratna Prakashan. p. 173. আইএসবিএন ৮১-৮৫৭০৯-৬৭-X.